Canadian born Sherri Anne is at the core of Sister Speak, an indie-pop and rock/blues/world music entity that creates uplifting, inspiring music. Sister Speak is based in both Los Angeles, California and Victoria, British Columbia, Canada. Sister Speak has recently expanded into Europe / UK with self-created label RESO Nation. Whether performing an electrifying full band show or a set of heartfelt acoustic arrangements, this Taylor Guitar’s sponsored artist has connected deeply with a diverse fan-base throughout the globe. Sister Speak’s high energy, moving band show has landed them headlining concerts at The Hotel Cafe in Los Angeles, San Diego’s acclaimed Belly Up and Casbah, concerts at the Viper Room and Moroccan Lounge in Los Angeles, Vancouver’s CBC radio and various festivals and events world-wide. Sister Speak has shared the stage with national acts Air Supply, Chris Isaak and Xavier Rudd among others. Sister Speak won “Best Pop” at the 2017 San Diego Music Awards. Sophomore record, The Stand EP, is it out world-wide. First single, “The Stand” has been launched worldwide with a breathtaking music video filmed in South America. Produced and recorded by Avli Avliav in Los Angeles, and mixed and mastered by Grammy Award winning engineers Alan Sanderson and Erick Labson (United Recording) respectively, this is Sister Speak’s most experimental release to date. 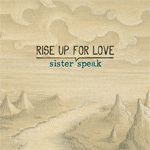 Sister Speak’s startling debut album, Rise Up For Love, was released in 2014. Since then, the album has hit airwaves throughout North America and Europe and Sister Speak has performed over 500 shows in the USA, Canada, Mexico, Costa Rica, Belize and Germany. As a solo act, duo and band, Sister Speak aims to share message-driven music and support the authentic expression of the woman’s voice through music. Time: 8:00pm. Age restrictions: All Ages. Address: 904 15th St. Sister Speak solo opening set. $5-$10 at the door. Time: 5:00pm. Address: 124 Center Road. Sister Speak (acoustic) returns to Finnriver as part of The Stand EP World Tour. Sugg $5-$10 (pass the hat) Come early for a good seat! 05/17/19	 Victoria, BC	 Victoria Bash! LA Record Release @The Hotel Cafe Dec 12! Sister Speak Band PNW Tour and Record Release 9/26 @Belly Up! Sister Speak (Band) @The Viper Room in Los Angeles May 10th! 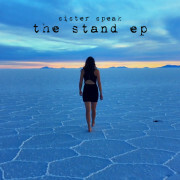 Pre-Order Sister Speak's New EP at Pledge Music!